Today I am partnering with an amazing skincare company I have been trying out for the last couple of months. 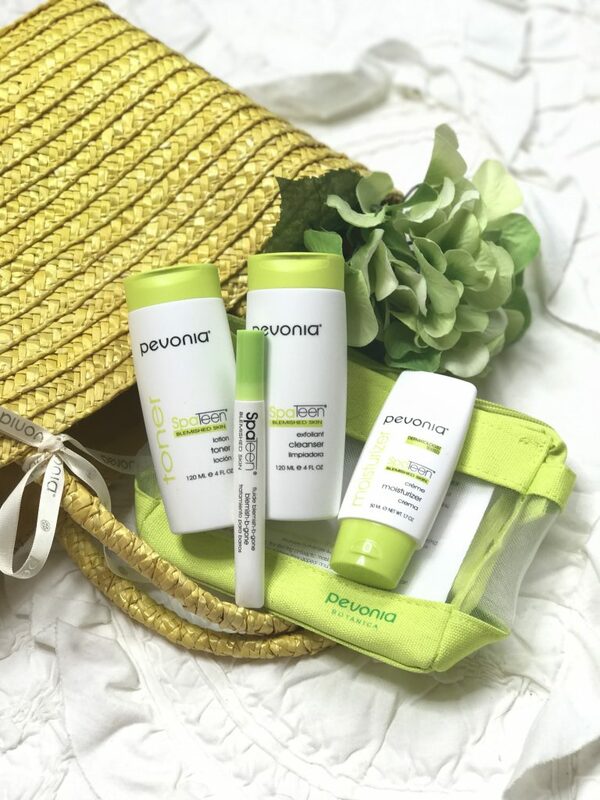 It is Pevonia Natural Skin Care. This was a brand that I had never heard of before, that I absolutely fell in love with. 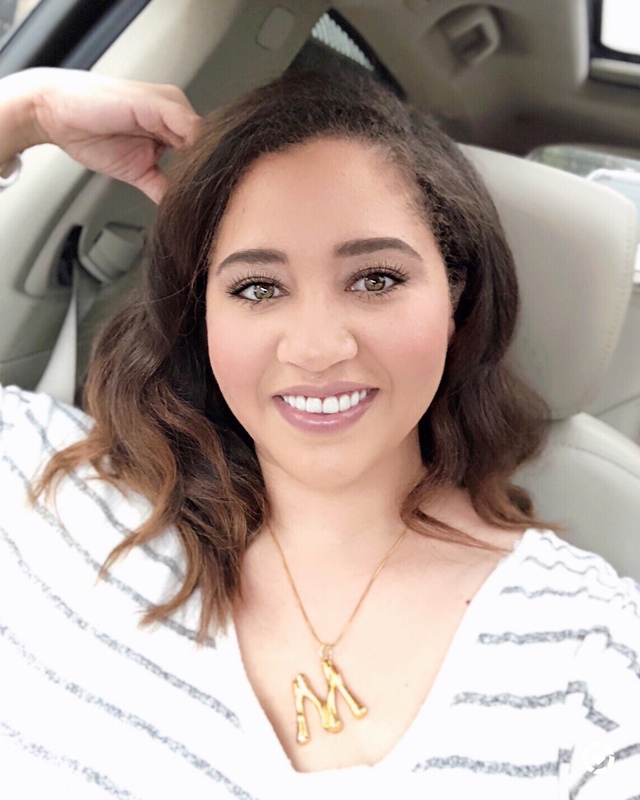 They sent me an AMAZING PR package back in April and I have been so impressed with my results ever since. So let’s go over some of my problem areas. The first one is Acne. 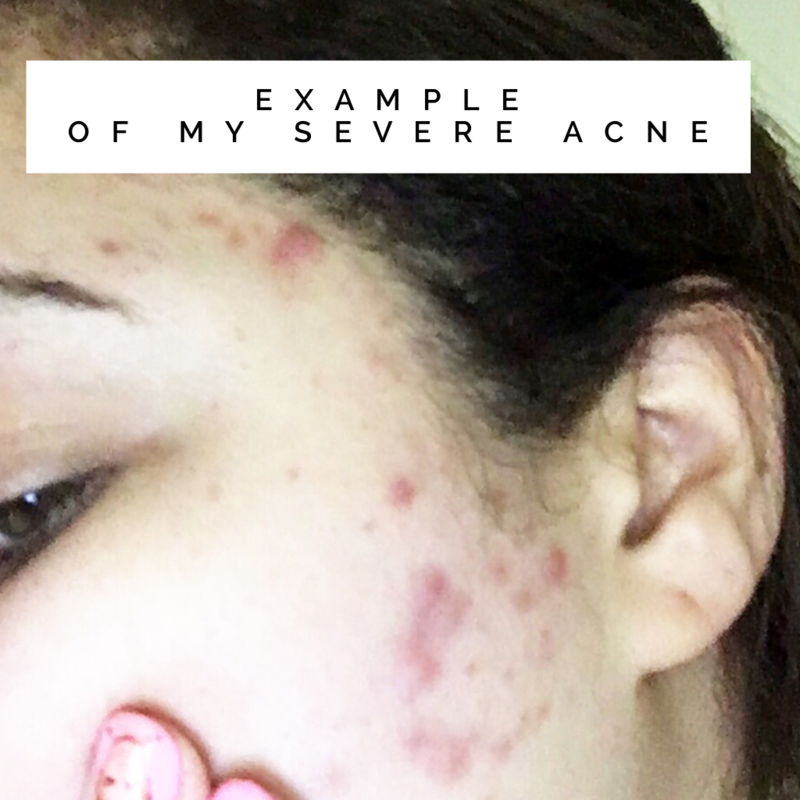 I have been struggling with acne as a result of my PCOS (polycystic ovarian syndrome) and I get problem areas often. I have it parially controlled with an anti-androgen and birth control which helps a great deal but I always need product to supplement it. 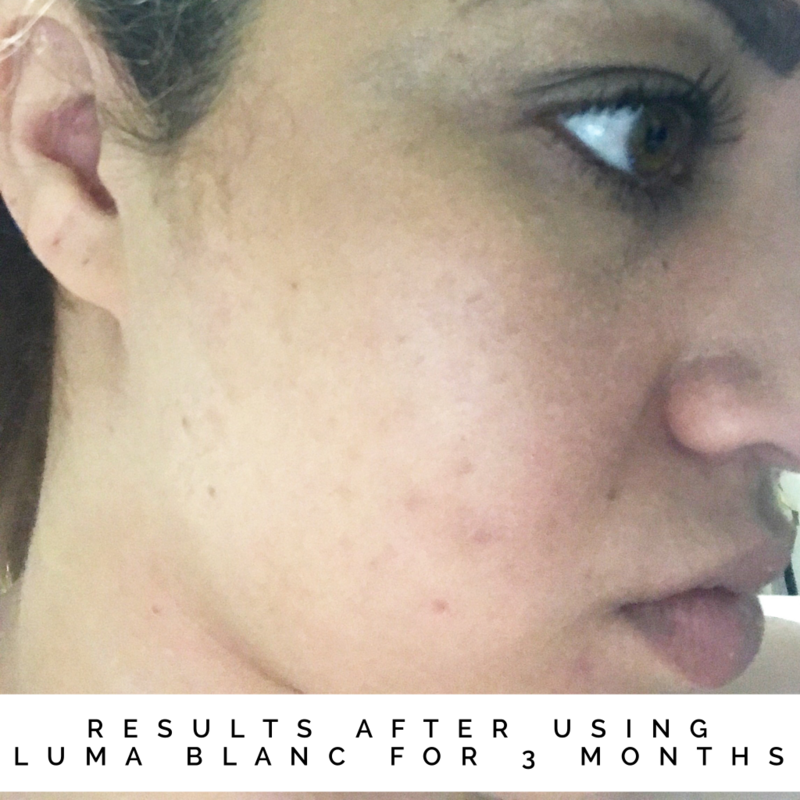 One of the biggest problems that I experience as a result of the acne is dark spots and scarring. I have had the marks FOREVER and it has been an issue for years. 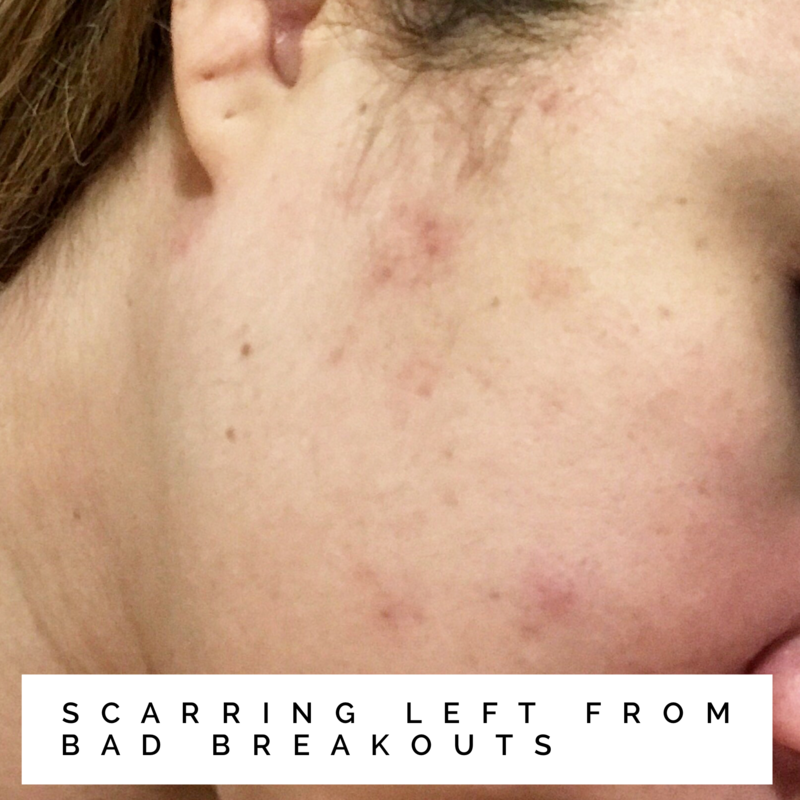 I will get a really bad break out and then sometimes it doesn’t even look as though the breakout has cleared up because the blemish can be so severe that it leaves a dark red mark or even a permanent scar. So let’s talk product. 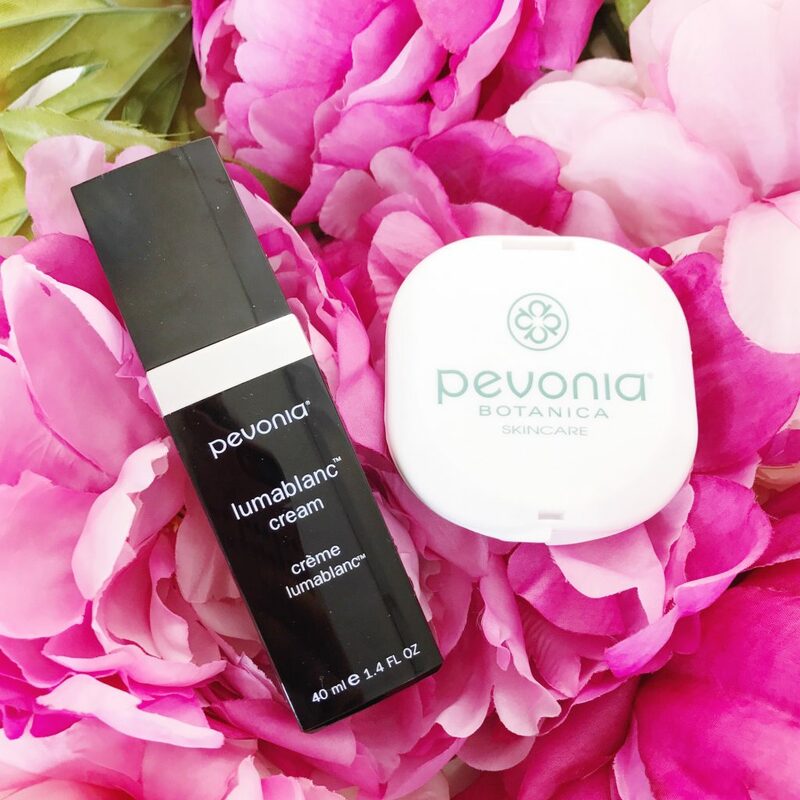 The first product I tried out for them is the Pevonia Botanicals Lumablanc Cream. My results have been so so good. I did have to stick with it for the past several months, and it took some time to take full effect. One of my newer skin care tips is not to use too many products on your skin at once so you know what is working and what is not. Below at the end of the post are some images of my problem areas, and photos of my skin while using the product. 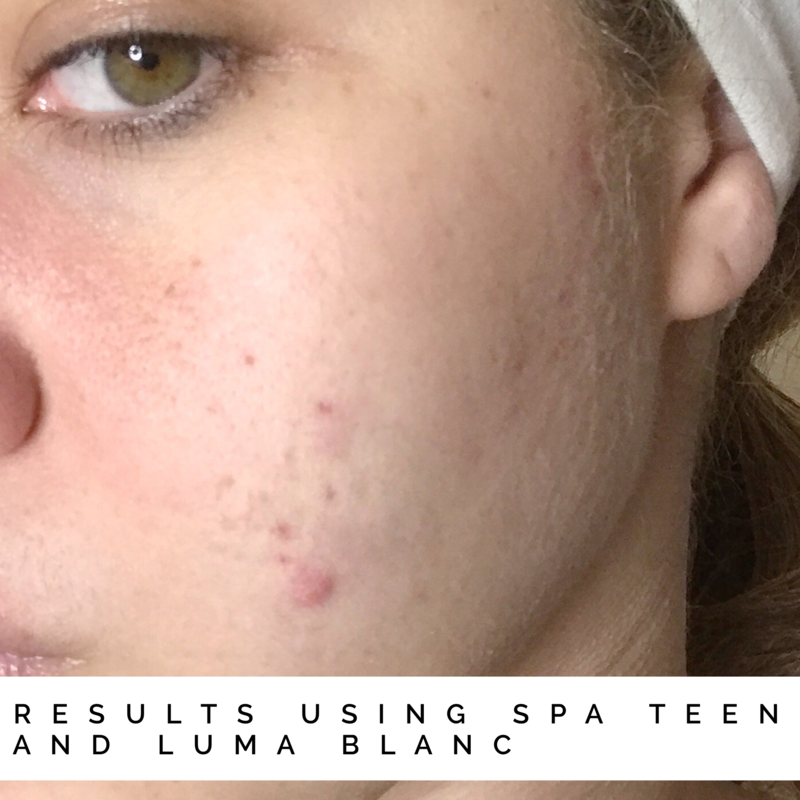 To help treat my acne I started using their Spa Teen Blemish Home Care Kit. Just because it says teen doesn’t mean it’s just for younger people, I actually found that it worked well on my adult skin. Typically I do really need prescription products, but this was a good co-treatment for my skin. I use it every other day and alternate it with some of the other products that I use for skin care. My favorite product in this kit is the Spa Teen Blemish Be Gone pen. I use this when I have a particularly bad breakout and dab some of this on before I go to sleep. I haven’t seen an emergency spot treatment like this in a while so I was really excited to use this. I also received some other products from them which I will add to this post for review soon! This brand has been so good to me and I fully stand behind their products. Your skin is worth the investment, these products are 100% quality and naturally made. 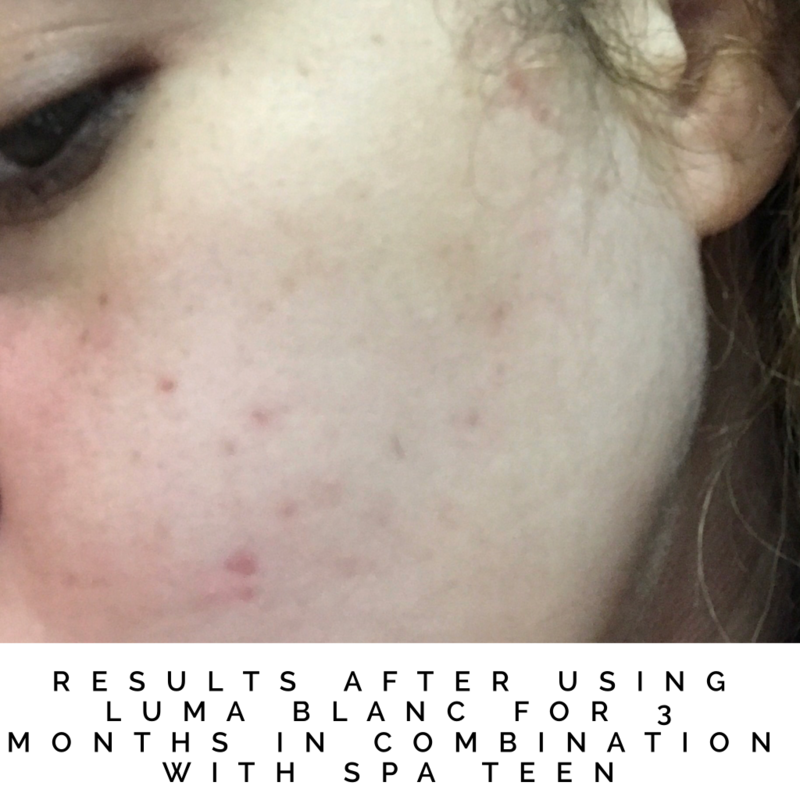 Below are my process and current results from using both the Luma Blanc Cream and Spa Teen together, you can see how much my red spots faded and I am so pleased with the results. This is the ONLY formula that I have found to be successful with significantly reducing the red spots. This post is sponsored by Pevonia Natural Skincare. I received these products at no cost in exchange for my unbiased review. All opinions are my own. Always consult with a specialist regarding your skincare routine.